The technical meeting of the SUCCESS – Sustainable Urban Consolidation CentrES for conStruction – Project financed by the European Commission through the H2020 program took place in Valencia in the first week of September. The project is led by LIST (Luxembourg Institute of Science and Technology) and counts on the participation of the Valencian partners Valenciaport Foundation, InnDEA Foundation and FEVEC. The main objective of the SUCCESS project is to study and develop pilot experiences to reduce the impact of the urban freight distribution associated with the construction industry by reducing negative externalities such as congestion, pollution, noise and accidents in order to improve the quality of life in the cities. During September, some meetings were carried out between the project leaders and the pilot leader in each city participating in the project with the aim of establishing a common methodology for the data collection in each of the pilots evaluated. Through the data collected and using the different simulation tools, different scenarios will be designed that will allow the optimisation of the logistics associated withconstruction sites. 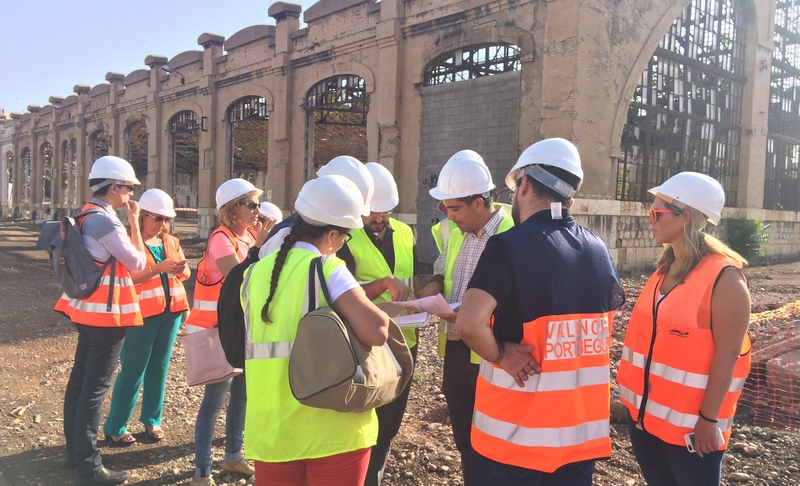 In addition, the members of the consortium visited the construction site of Parc Central in the neighborhood of Russafa – Malilla, which is the Valencian pilot site. 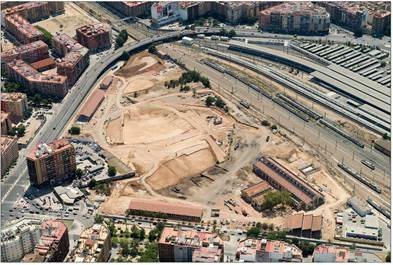 This construction site consists on the urbanisation of a park of 110,826 m², which corresponds to 40% of the total area of the park. The project includes the restoration of historical buildings of the architect Demetrio Ribes, author of the railway station of Valencia (Valencia North), and the reconstruction of two loading platforms and a processing plant with cultural and historical value located in the vicinity of the current Joaquin Sorolla railway station. 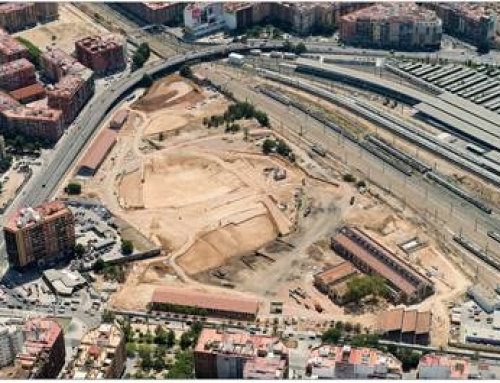 The Valencia Parc Central Society finances the first phase of the pilot site overall budget of €15,810,214.36 with an execution time of 22 months. The work for the urbanisation of the park is carried out by the Temporary Business Association composed by PAVASAL-DRAGADOS and is supervised by Nova ingenieria and Gestión S.L.-Grupo TEC Servicios Avanzados S.A.- Borgos Pieper Ltd London. 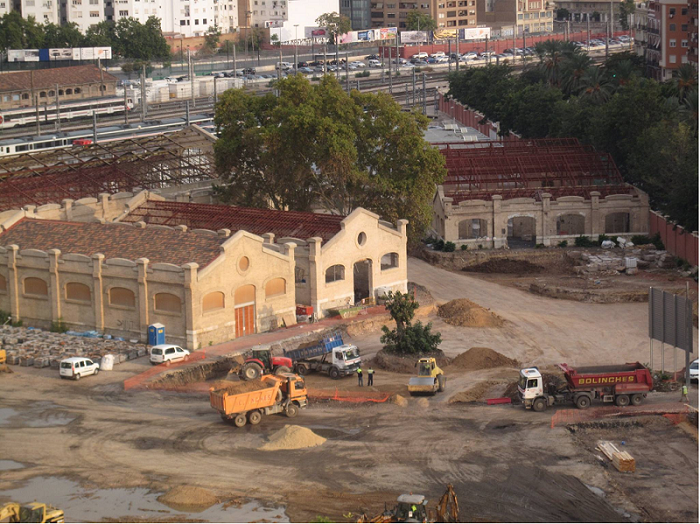 In addition, the safety management in the construction site is carried out by the company Oficina Técnica TES ingenieros.